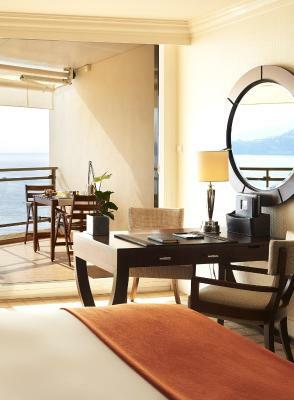 Lock in a great price for Fairmont Monte Carlo – rated 8.5 by recent guests! The bed and pillows were the best on our 3 week journey. Slept like babies. Friendly staff. 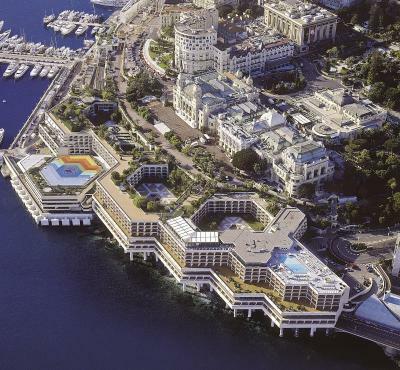 One of the best places to stay in montecarlo if not the best of all. You have everything you need. 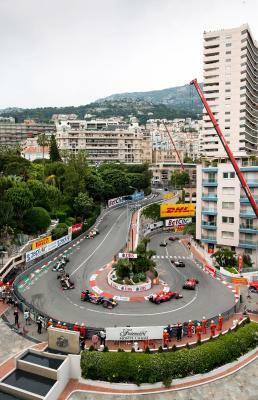 Its in the perfect location to go the best places in monaco. The staff is very kind as the concierge. The breakfast its a must. The pool is beautiful and you are in the best turn of the F1. the interiors are dated...almost sadly so, BUT, the staff are incredibly polite and helpful...and LOCATION- LOCATION-LOCATION...The property is in dire need of a top down renovation, it feels like you are back in the late seventies early eighties...but the fabulous staff and great value for money make you let that go...Didi I mention EXCELLENT beds and fantastic pillows...toiletries are also fantastic...rooms are generous in size and very comfortable, so all in all a compromise on one side but a wonderful experience in the end...Definitely returning! Bed & linen very comfortable . Room & terrace size is also nice . Nobu in the lobby of the hotel is the highlight. A very beautiful hotel, with wonderful facilities and staff. 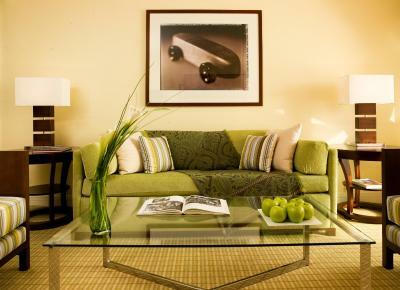 Fairmont Monte Carlo This rating is a reflection of how the property compares to the industry standard when it comes to price, facilities and services available. It's based on a self-evaluation by the property. Use this rating to help choose your stay! 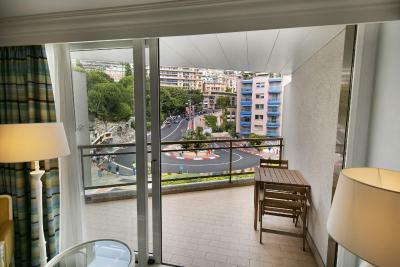 One of our top picks in Monte Carlo.Boasting a rooftop terrace offering views of the Circuit de Monaco, Fairmont Monte Carlo is a 4-star hotel set between the Mediterranean Sea and the Casino of Monte Carlo. 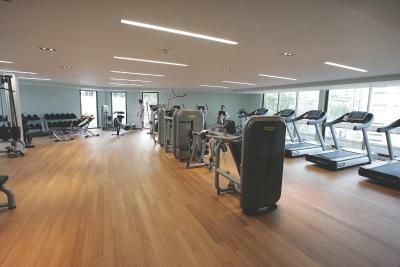 It has an outdoor pool, 4 restaurants and bars, a shopping mall, casino, hairdressers, fitness center and spa. A beach package is available and the hotel offers a complimentary shuttle service to 3 nearby Monaco beaches where guests benefit from special discounts. 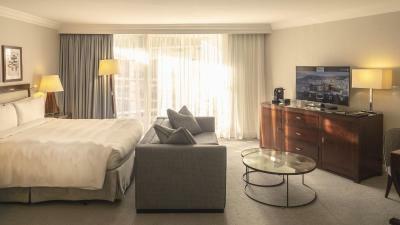 Each guest room and suite is air-conditioned and equipped with a desk, kettle and interactive TV. 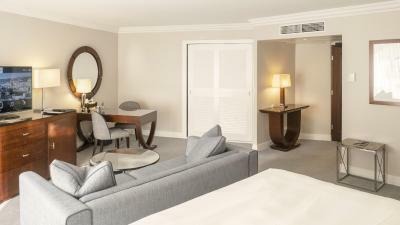 All rooms feature a private marble bathroom and a private balcony. 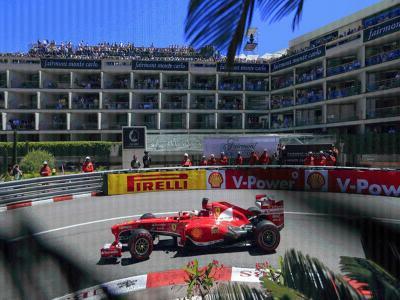 Guests can choose a room with views of the sea, of the Circuit de Monaco or of the garden. Nobu Restaurant offers traditional Japanese cuisine blended with South American spices. The Saphir 24 Bistro Lounge and Bar is open 24/7 and serves traditional French cuisine. Located by the rooftop pool, Nikki Beach offers international cuisine and the Horizon Deck Restaurant and Champagne Bar specializes in Mediterranean cuisine, served against the backdrop of a 360-degree view of the Principality of Monaco. Guests are invited to use the unique onsite wellness facilites at the Carol Joy Spa Monte Carlo. There is a fully equipped fitness center and a rooftop pool which is heated all year round, allowing guests to admire the Riviera view throughout their work-out. Nice Côte d'Azur Airport is 17 mi away. Private parking is available on site for an additional charge. 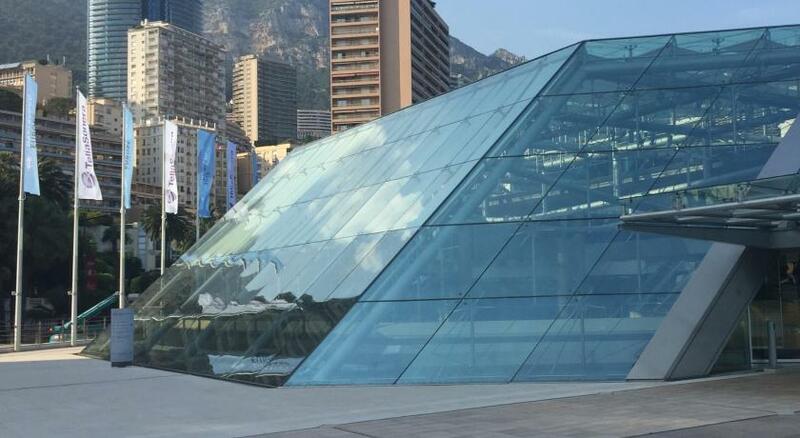 Monte Carlo City Centre is a great choice for travelers interested in clubbing, clothes shopping and romance. 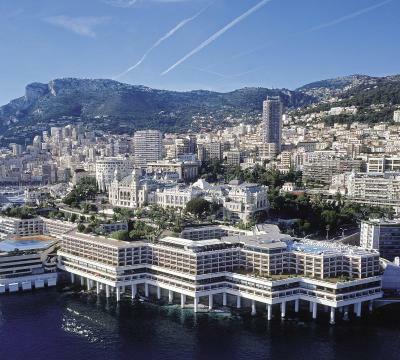 When would you like to stay at Fairmont Monte Carlo? This room features a private, furnished terrace with views of the sea and a dining area. The marble bathroom has a bathtub. Private parking is available on site (reservation is not needed) and costs EUR 60 per day. This room features a private furnished terrace with views of the garden and a dining area. The marble bathroom has a bathtub. 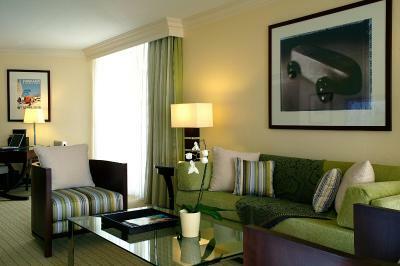 This suite is decorated in Mediterranean colors and features a view of the sea. It includes a lounge with sofas and 2 bathrooms. It has 2 private, furnished terraces with a dining area. Extras include 3 telephones and 2 interactive TVs. 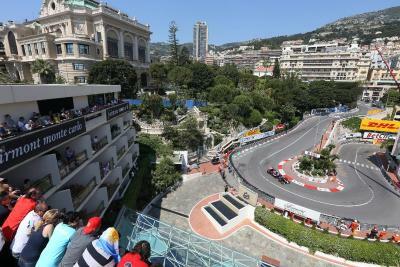 Air-conditioned room with a balcony offering a unique view of the Grand Prix of Monaco, satellite TV and a mini-bar. The private bathroom is complete with free toiletries and a hairdryer. Viewing the Mediterranean Sea and on the property's highest floors, this non-smoking double room features a large double bed and beige colors with some blue and orange touches. It has a large window, a terrace with lounge chairs, chairs and a table, as well as a marble bathroom. This twin/double room has air conditioning, electric kettle and cable TV. This twin room features a balcony, satellite TV and view. This twin room features a balcony, view and bathrobe. 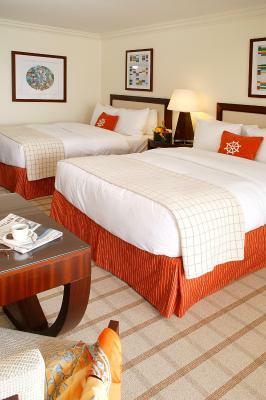 This room is located on the 5th or 6th floor and is decorated with beige, blue and orange tones. It features a terrace with a sun bed and sea views. This room is decorated with beige, blue and orange tones. It features a terrace with a sun bed, a table with chairs and sea views. There is also a window in the ceiling and a marble bathroom. This suite is decorated in wood and gray tones and features a terrace with garden views, satellite TV and air conditioning. This twin room has a mini-bar, air conditioning and bathrobe. This suite features a bathrobe, flat-screen TV and mini-bar. 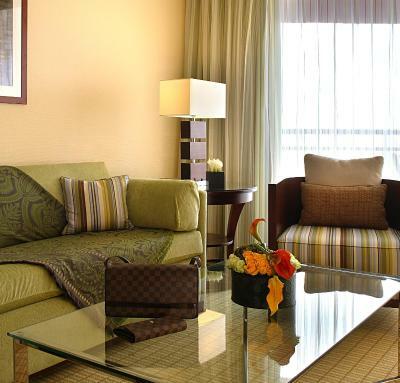 This suite features a mini-bar, air conditioning and cable TV. This suite has air conditioning, flat-screen TV and mini-bar. The Fairmont Monte Carlo hotel is a unique four-star luxury convention resort located in the heart of the Principality of Monaco in between the Mediterranean Sea and the legendary Casino. Hotel surroundings – This neighborhood is a great choice for travelers interested in clubbing, clothes shopping and romance – Check location Excellent location – show map Guests loved walking around the neighborhood! House Rules Fairmont Monte Carlo takes special requests – add in the next step! One child under 6 years is charged EUR 81 per night when using existing beds. All children under 12 years are charged EUR 81 per night for extra beds. Any additional older children or adults are charged EUR 81 per night for extra beds. Fairmont Monte Carlo accepts these cards and reserves the right to temporarily hold an amount prior to arrival. A beach package is available to purchase at the property and includes a free shuttle service to 3 nearby beaches, where guests benefit from discounted rates. Please note that when booking 5 rooms or more, different policies may apply. Please contact the property for further details. 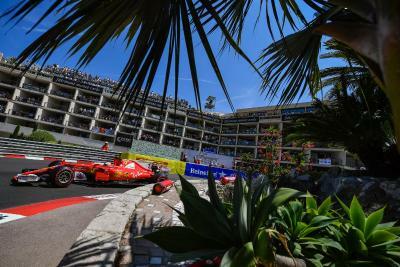 During the Monaco Grand Prix, guests can enjoy free access to the terrace where they can see the races. 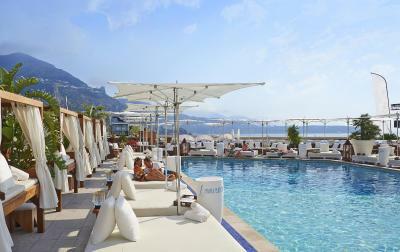 Please note that Nikki Beach is open from April to September. 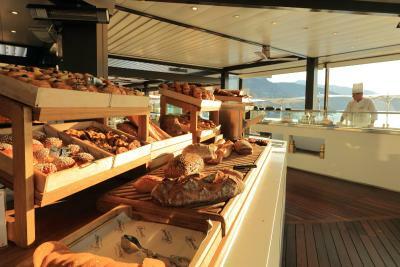 The Horizon Deck Restaurant and Champagne Bar are open annually from April to October for breakfast and dinner. 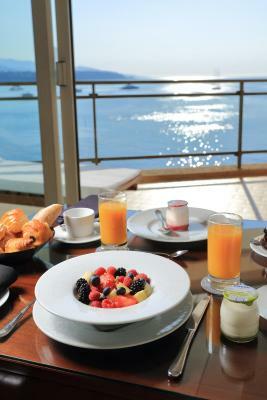 From October to April it offers breakfast every day and the dinner service is available from Monday to Saturday. Guests are required to show the credit card used to make the reservation at check-in. If you do not have the credit card, please ensure you contact the property in advance to let them know. Please note that only people aged 18 and older can check in. Please note that a security deposit will be requested upon arrival, in cash or by credit card. For more information, please contact the property. Please inform Fairmont Monte Carlo of your expected arrival time in advance. You can use the Special Requests box when booking, or contact the property directly using the contact details in your confirmation.